If you are subscribed to my weekly newsletter, among the contents I send every Sunday is my answer to questions sent by readers. If you haven’t subscribed to the newsletter yet, check out the signup form at the bottom of this article and you’ll even get some freebies as soon as you signup. Some of the questions I receive are quite useful for other people as well, so here in this article, I am sharing with you one of the more recent questions I answered. 1) Getting around Paris - What are the rules on taking taxi/uber for 3 adults and 3 kids? Do we need to request for car seat each time? Will we most likely travel in two separate cars/taxis? In this situation I recommend that you travel with a Taxi Van. They offer up to seven seats and have seats for kids. You can make a reservation with the taxi G7 app. Just to be clear, I don’t get any money from this recommendation but their taxis are clean and modern but maybe not the cheapest option. 2) In the Metro - similar to above, can we just ride the metro carrying our kids or just holding the two boys? Not sure if there are specific rules. You can bring your stroller / pushchair in the subway but avoid rush hours and if possible try to fold it in the subway. Most of the subway stations have elevators (but not all) and escalators but I think you can carry your kids easily in most of these situations. Be mindful of the size of your stroller though. Some recent high-tech strollers are too big for car trunks and train aisles. So this is something you should consider before your trip. 3) In restaurants - is the practice in France/Paris normal to have high-chair (chair for kids) or will they have to sit in the adult chair? I would recommend that you visit some chain restaurants to guarantee that you have access to a high-chair (called « chaise-haute »). You can ask the waiter when you visit a restaurant. If you try to visit a kid-friendly restaurant or most touristic restaurants, you should be able to have access to it. I am sharing a link with some restaurants offering this option. Check it out here. 4) Weather - We are planning to stay on the last week of August till 1st week of September. Is this a good time to be in Paris then? I am worried about the climate if it will be too cold for my kids already coming from a tropical climate country. Honestly it is hard to tell. But in general at the end of August the weather is still pleasant. It can be around 20 up to 30°C but to be honest, each year can be a different story. 5) We are thinking of visiting another city in France. Do you have suggestions on "kid friendly" cities that my kids can enjoy? We've been to Strasbourg and that is an option. Most cities in France are kid-friendly in general, I’m not sure if there are some that are not kid-friendly. Strasbourg can be a good option since the vibe is different from Paris. In general, any big city with a good transportation system like Lille, Bordeaux, Strasbourg, Lyon, Nice can be a good option. If you can drive in France, you can go a bit off track and have more flexibility but the cities I mentioned here are definitely some good options. I hope I was able to answer all your questions, Pierre. 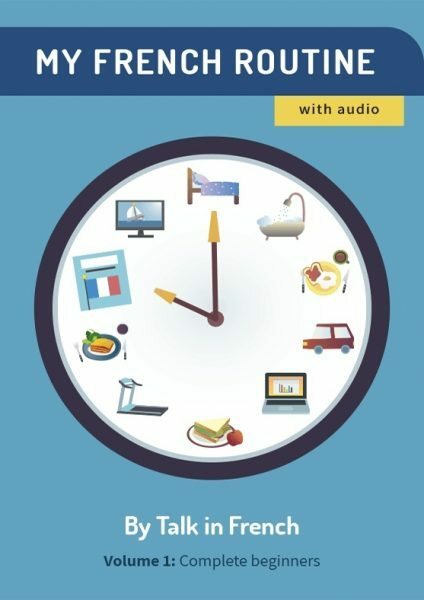 Do you have questions about France or the French language? You can send it to me using the contact form below and I’ll pick some of the most useful questions and answer it on the weekly newsletter. For those who have not yet subscribed, you may do so below and you'll also get some great freebies!